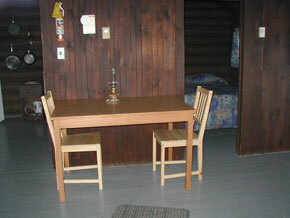 Cabin 9 is our only cabin that features a single bedroom with 1 queen bed which sleeps one couple. This cabin is a gem as it sits on a peninsula by itself. Closest buildings Cabin #8, 1000 feet away to the West and Cabin #10 across the bay on the North East side. 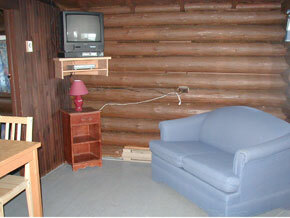 The cabin is Log construction, rustic but extremely clean. It has a small kitchen, dining and living room area with pull out love seat sofa and 3 piece bathroom. We assume this cabin is one of the original cabins from the days of Captain Britton. Amenities included are electric stove, refrigerator/freezer, microwave, coffee pot, toaster, silverware, dishware, basic pots & pans, television with DVD player for DVD viewing only, bed linens, outdoor propane barbecue with picnic table and outdoor fire pit. This cabin is heated by individual room electric baseboard heater so that you may warm the cabin up for those cooler early spring and late fall days. One ceiling fan in the centre of the cathedral ceiling to circulate the air on those hot summer days. Please note that this cottage has hot and cold running water that is potable for drinking purposes and tested monthly. 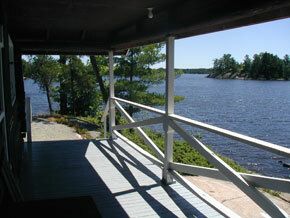 The view from the cabin's deck is amazing. Our guests are able to fish from the shores on three different sides. 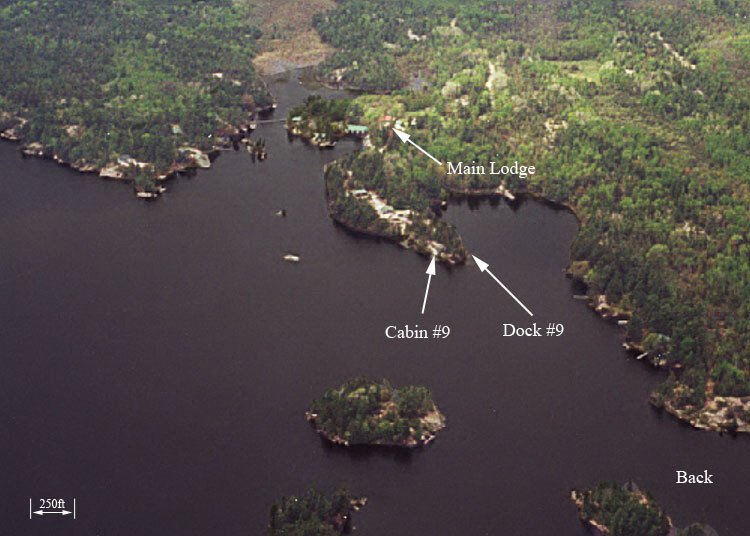 It has its own dock able to easily fit up to 2 private or rental boats and electricity from the cabin is approximately 100 feet away. 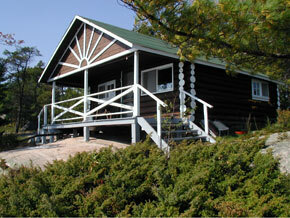 This cabin is boat access but can be walked to from the main lodge. Approximately a 5 minute walk.